A balm specifically designed to promote skin renewing and help it recuperate after esthetic procedures (face peels, etc.) or repeated climatic exposure (sun, cold). Results: The skin is deeply moisturized, soft and supple. 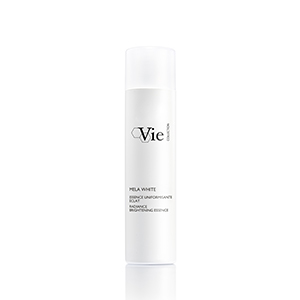 Accelerates the renewal and reconstruction process of exfoliated skin. Improves the esthetic appearance and texture of the skin. A balm with a comforting texture, ideal to repair the skin after a peel. AQUA (WATER) / EAU, DIMETHICONE, ISONONYL ISONONANOATE, BUTYROSPERMUM PARKII (SHEA) BUTTER EXTRACT, GLYCERIN, ISOHEXADECANE, ARACHIDYL ALCOHOL, GLYCERYL STEARATE, PEG-100 STEARATE, BEHENYL ALCOHOL, PHENOXYETHANOL, SODIUM ACRYLATE/SODIUM ACRYLOYLDIMETHYL TAURATE COPOLYMER, CAPRYLIC/CAPRIC TRIGLYCERIDE, ETHYLHEXYLGLYCERIN, ARACHIDYL GLUCOSIDE, XANTHAN GUM, POLYSORBATE 80, PCA, HYDROLYZED ALGIN, SORBITAN OLEATE, MARIS AQUA (SEA WATER) / EAU DE MER, SODIUM HYDROXIDE, LAVANDULA STOECHAS EXTRACT, CHLORELLA VULGARIS EXTRACT, SALICORNIA HERBACEA EXTRACT, TOCOPHEROL, CITRIC ACID, PROPYL GALLATE.